Many in the media are obsessed with Philly. Whether booed, ballyhooed or berated, the Eagles trend upward because Sal Paolantonio and Co. treat the color of Andy Reid’s underpants as breaking news. (Side note: Reid's y-fronts are a game-time decision). The talk is Kansas City are in the driver’s seat for next year’s top draft pick---you'd assume a quarterback. Sure, Cassel has underwhelmed. But isn’t it entirely possible he’s playing with a tainted deck? There’s certainly no ace, a couple of queens, and more than a few jokers. Cassel’s real problem is lucky No.7---it’s too much to live up to when your o-line has nothing up its sleeve. A few weeks back, Chicago was touted as a juggernaut by many of the talking heads. Then Cutler was crunched, the defense was buried in burden, and Jason Campbell forgot quarterback is a job that requires you to be conscious. Now the Bears are back, fulfilling their usual hype at the onset of winter. New England fans keep telling us they worry about their team’s defense. "Oh, thy secondary!" they cry. The running game is lackluster, they claim. Even Brady’s hair has lost some sheen, so say Boston stylists. Meanwhile, the Pats continue the charge. Don’t expect this approach to change until the Giants refund their New Orleans flights. Kaepernick! The 49ers haven’t had this much press since Singletary dropped his Dockers. Things have come full circle: Coach Jim Harbaugh pulled Alex Smith’s pants down before the smelling salts even kicked in. Rest assured, Smith is still "his guy". Alex Smith, a man with an average name, is said to have average quarterbacking skills. In some circles, quarterbacks that successfully manage an offense and limit errors, are a valuable commodity. In others, they are a kind of pariah, undermining creativity, or spontaneity, or something. 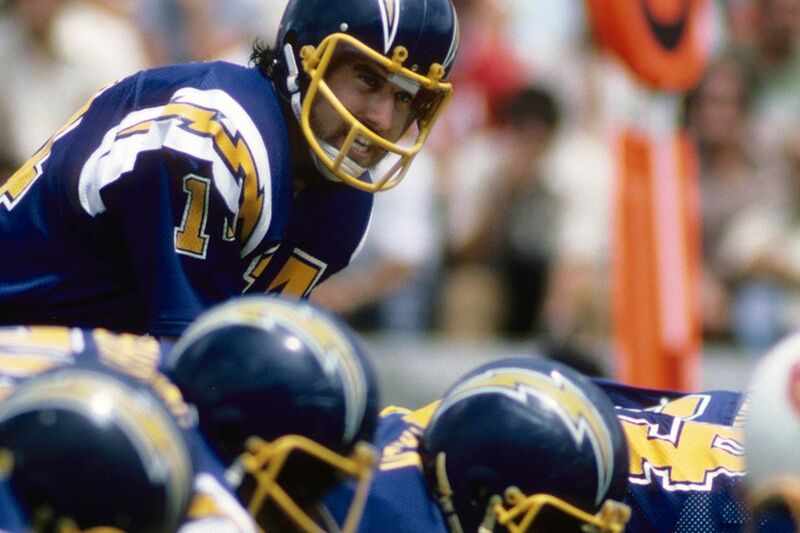 Whatever the problem with these quarterbacks---as opposed to bulging, happy-footed wildcards---the NFL enjoys the competition the same way John Hughes dedicated himself to the study of nerds versus studs. And this is where our pro football/retro movie study begins. Remember Hughes’ Pretty in Pink in which Molly Ringwald’s character, Andie, is smitten with preppie Blane while pal Duckie plays second fiddle? Well, if Blane was a quarterback, he’d be the 49ers’ Colin Kaepernick. Stay with me here. That would make Smith Duckie, and Coach Jim Harbaugh Andie. (Ringwald’s characters often rubbed others the wrong way, so this analogy isn’t as big a stretch as you might think). What Hughes unpacked so eloquently in his stories, was the hope of something better. Many of his protagonists stumble into popularity only after facing a lifetime of heartache. In some instances, Pretty in Pink being one of them, the chief character is so infatuated with the idea of leaping from the wrong side of the tracks, that when she meets success, all other options pale in comparison. So, of course, once Kaepernick strutted onto the scene, Smith paled in the eyes of Harbaugh. Not because he was underperforming, throwing too many picks, or complained that Candlestick's winds were ruffling his beard. No, it's because like Duckie, he's reliable, but will never make your heart flutter. The cooler and outwardly more confident Kaepernick apparently will---some say he already has---having worked his mojo into Harbaugh’s heart with intermediate experience. Something tells me the edgy coach favors tattoos and goatees over clean cut niceties. 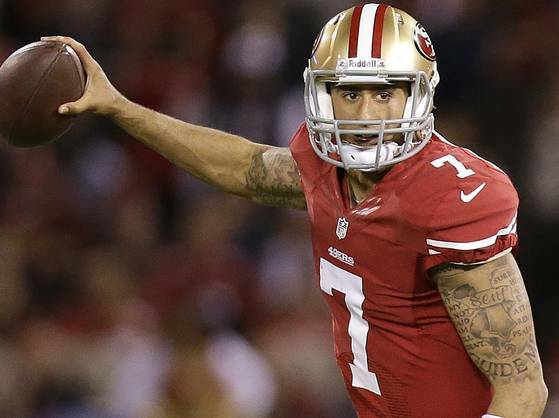 With Smith nursing a concussion, Kaepernick has surely stepped up in two games. He’s tossed three touchdowns and 680 yards, and has an astronomical passer rating for a young QB. Yes, the 49ers look good with "Kaep" behind center. So much so that a number of pundits are claiming he has earned his chance. In truth, he's earned the chance about as much as Andrew McCarthy's sports jacket gave his character street cred. Okay, the Niners are glimmering right now. But weren't they with Smith anyway? In 16 games last season, Smith threw for 3,144 yards, 17 touchdowns and just five interceptions---remember? That was good enough to lift the Niners from irrelevancy and propel them into Super Bowl contention. But that was last year. So, for posterity's sake, let it be re-stated here that Smith, to this point in 2012, has thrown 13 touchdowns, completed 70% of his passes, and notched the best passer rating of his career (104). Listen, those are just numbers. If you need proof, revisit his superb scrambling and deft passing in last season's playoff against the Saints. It seems quarterbacks, like underappreciated spouses, are vulnerable to the fading light of late autumn. What once seemed lithe, energetic, and full of prospect, suddenly moves in unflattering tones. 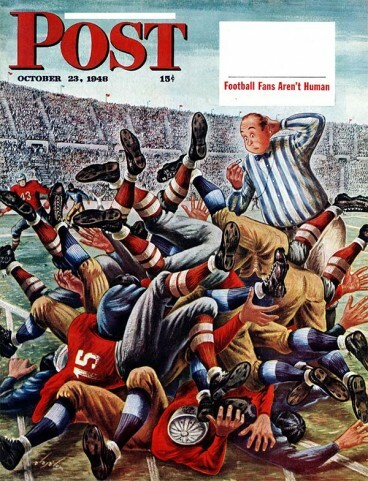 Smith, though once heralded, has never really been appreciated in San Francisco, at least not by Niners brass. As the top pick in 2005, the sleight and cerebral QB was destined to struggle. Not even supersonic Cam Newton has overcome doubters as the No.1 pick---what chance did Smith ever have? It quickly became apparent he had entered into a one-sided affair in which he'd never find true happiness. Now with the rise of Kaepernick, Smith’s fate as a 49er has been sealed. He’s Jon Cryer, minus the Emmy. Hey, good luck to Harbaugh, but Smith deserves better. 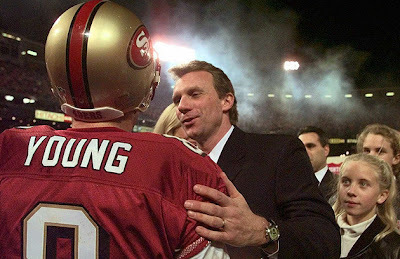 The current 49ers "quarterback controversy", a re-imagining of the Montana – Young duel of 1991, reflects an outcome that’s too commonly accepted in the NFL: that the "other guy" always has greater potential. Of course he has greater potential because nobody knows what that potential is. For this reason, the back-up quarterback, the unproven talent, the unfulfilled fantasy, should be the aspiration of every young signal-caller. Ask Tim Tebow, he'll tell you. He's kneeling in gratitude before the football deity as we speak. So here's to a happy ending for Smith. The great John Hughes, at the very least, would have wanted it that way. If Thanksgiving reminded us of anything, it's to be thankful for the NFC East, in spite of the baked and basted Eagles. The division is mouthwatering, stuffed like a festive bird with all the trimmings---entertaining quarterbacks, rumbling pass rushers, gruff coaches and most importantly, rivalries of immense theatre. That's the key element in prolonging the peak of interest, defying the natural occurrence of a singular crescendo---the theatre of unpredictability. And the reigning champion New York Giants are about as unpredictable as it gets; the Cowboys as disappointing; the Redskins as thrilling; and the Eagles, well, as unseasoned. A dramatic stage has been set. Already the Redskins deserve a standing ovation. Here was a club, so grossly commandeered from behind the offensive line and via the headset for years, you wondered if owner, Daniel Snyder, might be an even worse distributor of funds than, say, James Cameron, or Michael Bay---both world beaters in that category. Washington is suddenly more animated than Avatar ever was. The yet to be knighted Robert Griffin III provides the 'Skins a spread of offensive treats so sumptuous, the half-smoked hot dog from Ben's Chili Bowl is salivating. Certainly his running is a worry for defenders because truly good runners are capricious. Griffin not only cuts, he swivels and launches. It's untenable. But it's something further with him---he's unnerving. Michael Vick can tear past and edge, and yet, his presence doesn't unhinge ends in the same way. Not anymore. Griffin's attack, by contrast, is illusive as he probes for space with his feet, squeezes the ball into gaps as if it were malleable, and he finds room for that hair inside his helmet, perhaps that most unreal feat of all. Now that Washington is on a roll, it's feasible they could be carving Christmas turkey with a sense of comfort only a divisional leader can savour. But let's not belittle the Giants. All New Yorkers, not just those of grand political stature, or of regimented blue uniform, fight to the bitter end. It's just their way. So we should assume Big Blue Defense & Co. will bust through any complacency, and ultimately crash the playoffs. It's inevitable and you know it. So which end of the saloon does that leave the Cowboys? In view of the leggy blonde eyeing out a Springsteen number on the Jukebox, or mumbling into a Miller Lite in the darkened corner beneath the elk? Perhaps halfway up the bar, with neither a shot at Dancing in the Dark, nor receiving hallucinatory advice from a mounted deer. Tony Romo and Dez Bryant connected on two splendid touchdowns against the Redskins on Thanksgiving Day, which is presumably easy on your home turf and in front of a famous country singer. But for all the Cowboys' wild talent, Romo's relentless gun-slinging, and Bryant's powerful stride, they are surely victims of their own expectations. And ten gallons of good intention can't overcome that. 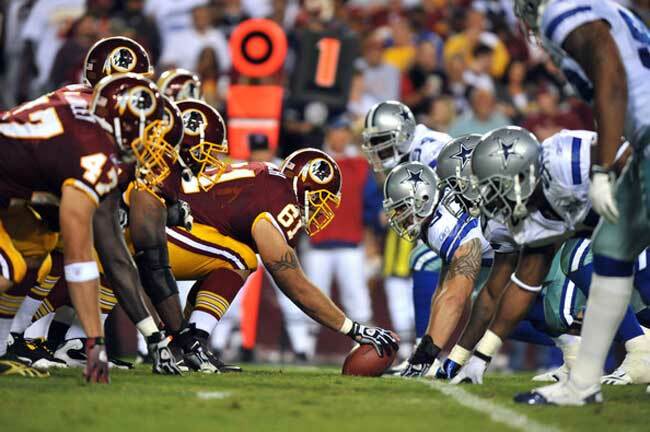 Against the Burgundy and Gold, America's Team stared down the barrel of a 25-point deficit---and Jerry Jones' distasteful glare---and yet, Romo bullet-holed the opposing defense like it was the O.K. Corral. Four-hundred and forty-one yards worth of spirals from the Dallas quarterback's arm later, the smoke cleared and Griffin's grin sparkled. Somewhat like his hero, John Elway, Griffin has that intangible knack for success. This irrepressibility is proving the difference in the NFL's toughest division.